ISLAMABAD: Senior US State Department official Alice Wells reached Pakistan on Thursday on an official visit. 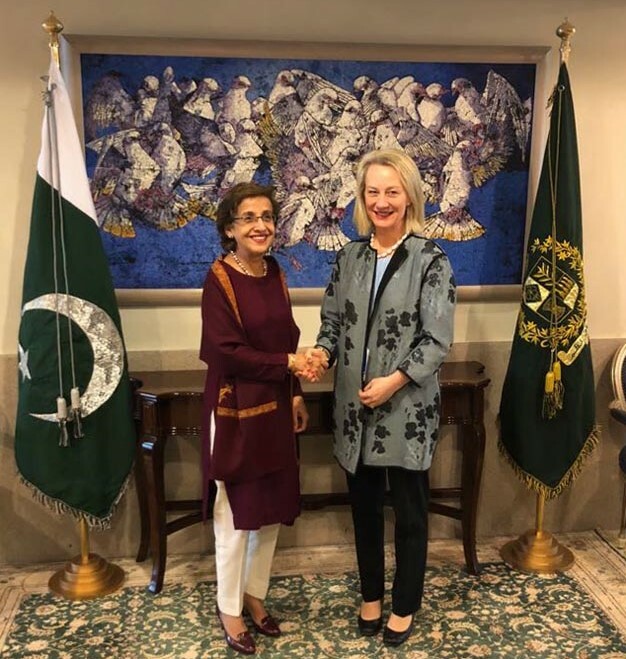 Per media reports, Wells, the principal deputy assistant secretary for South and Central Asia, met Foreign Secretary Tehmina Janjua and discussed issues related to the Pakistan-US bilateral ties, peace in Afghanistan and regional and global affairs. During the meeting, both sides reiterated their firm commitment to act against all terrorist groups that were targeting Pakistan and Afghanistan. 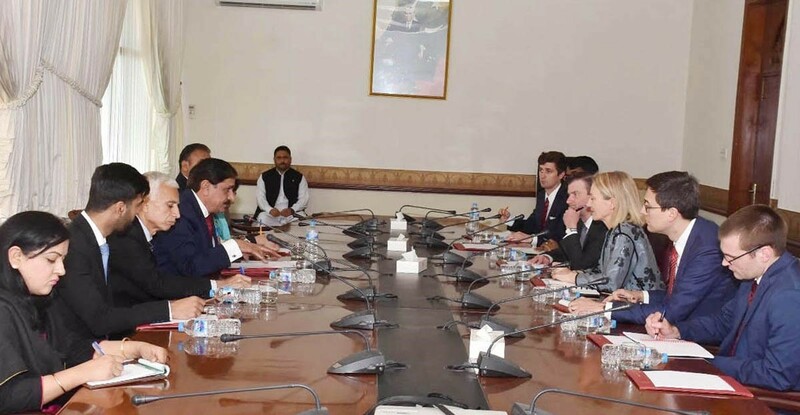 The foreign secretary apprised the visiting delegation of the continued ceasefire violations by India that undermined regional stability and highlighted Pakistan’s position that a comprehensive dialogue was the only way forward for civilised nations to resolve outstanding issues. Noting that US and Pakistan had a long track record of cooperation, Ambassador Wells emphasised the importance of working together to achieve the common objectives of peace and stability in Afghanistan and the wider region. Later, Ambassador Wells also met National Security Adviser Lieutenant General (r) Nasser Khan Janjua and discussed the current situation in Afghanistan. After the meeting, Nasser Janjua said that early resolution of the Afghan issue was the top priority of US and Pakistan. It is important to mention here that after having served as a political officer at the US Embassy in Pakistan, Wells previously visited Pakistan in January this year and was accompanied by senior officials from the US National Security Council and Ambassador David Hale. She is also expected to hold meetings with officials of Pakistan’s Ministry of Foreign Affairs as well as several other senior Pakistani government officials. It is believed that Wells would also hold talks in connection with Pakistan’s progress following the announcement of US President Donald Trump’s regional policy and his New Year tweet that targeted the Pakistani authorities by accusing them of playing a double game in the war against terrorism. “Wells would discuss our South Asia strategy and Pakistan’s commitment to end all terrorist groups present in the country, as well as, our mutual interest in economic and commercial relations which will benefit both sides,” a statement from US State Department read. The statement, however, did not mention the stay duration of Wells in Pakistan but noted that she would travel to Karachi. “Wells will travel to Karachi where she will meet senior officials and businessmen where she will discuss our strong economic and people-to-people relations,” the statement further stated.